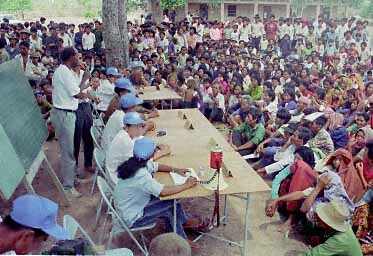 This part (91), Mr. Sophan expressed thanks to leaders of CNRP ie. 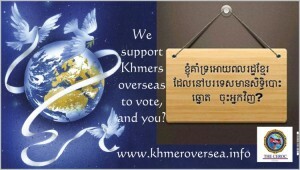 Sam Rainsy and Kem Sokha who have repeated on their public speech to grant voting right to Cambodians overseas. 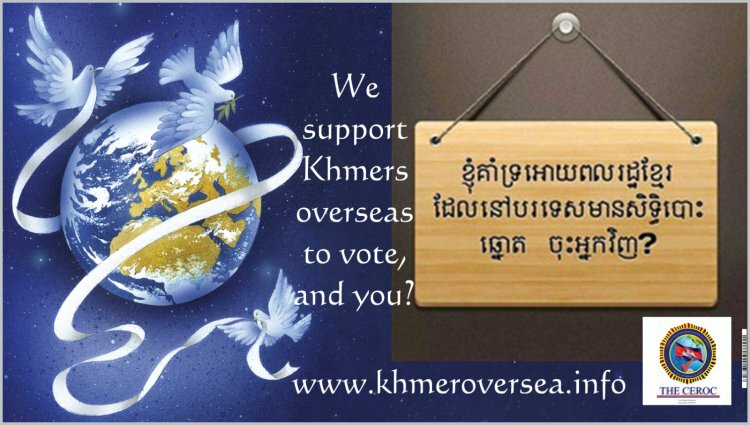 Both leaders have thoroughly articulated on due procedures and resolutions to help Cambodians overseas to vote during each Cambodia election. 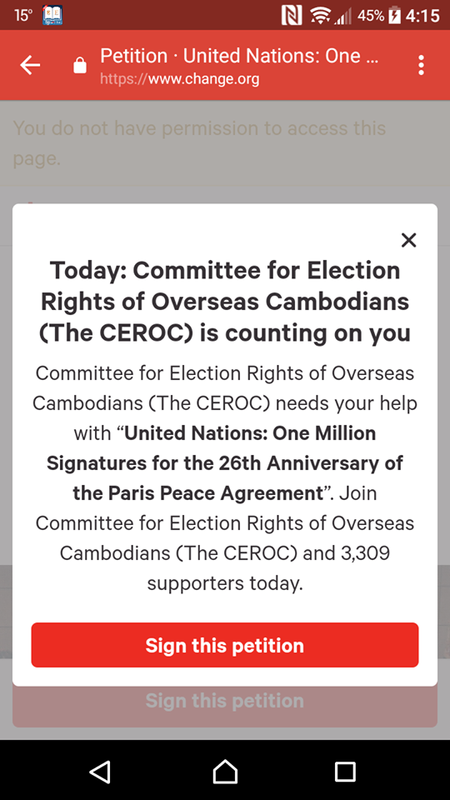 On behalf of the CEROC, those speeches are significant to push for final solution by amending laws to clearly allow Cambodians overseas with voting right to vote in Cambodia elections. 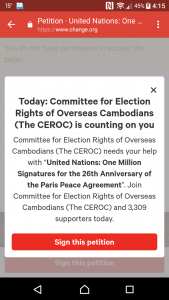 As voters registration for commune election has already completed, the CEROC is urging all law-makers to be ready for national election 2018. 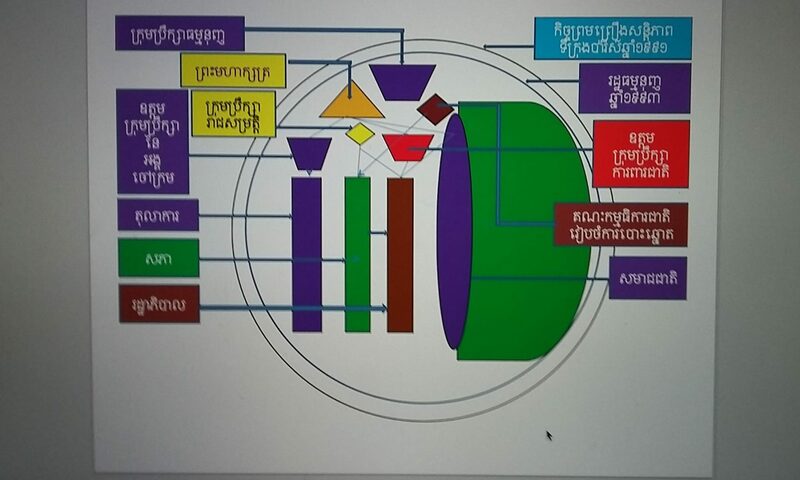 This part (72) broadcasted by CMN Radio on August 08, 2016, Mr. Sophan Seng articulated on denial of NEC to open special registration date on Pchum Ben Day proposed by CNRP as well as facilitating good accessibility for migrant workers and overseas Cambodians.